After an astounding sales increase in Feb 2013 (40% over 2011) the Williamsburg home market is settling back down . Closed sales in our Williamsburg market ( 23185,23188 & 23168 zip codes) are up slightly over 18% for the first quarter. Pending sales are up just under 12%. Both of these metrics (in addition to lower inventory) are great news for what seems to be a continually strengthening local market. What’s even more impressive is that our office is up almost 50% in closed sales (units) so far this year, and almost 60% in pending sales units. To outperform the market at that margin is nothing short of PHENOMENAL!! Home sales are off to a great start in 2013 here in the Williamsburg VA area. .We’ve seen an unseasonably high level of activity in the Williamsburg, VA area. ( James City County, City of Williamsburg and Upper York County) since the beginning of the year. 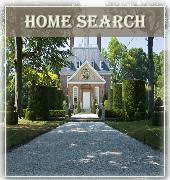 With home inventory shrinking Williamsburg home buyers are having a tough time finding good quality homes to purchase. This is causing prices to rise. If you’ve been thinking of selling, now may be a great time! I work both in Williamsburg VA and the greater Hampton Roads area. So the stats above are all reflective of the Williamsburg VA market . ( 23185,23188, 23168 zip codes) this incudes the City of Williamsburg, James City County and upper York County. What does this mean for you? Well, we’ve had a strong market this year with steady home values and an increase in market activity. If you’re thinking of selling anytime soon, consider going on the market to take advantage of the increased number of buyers, list prices, sales prices, and fewer days on the market before sale..